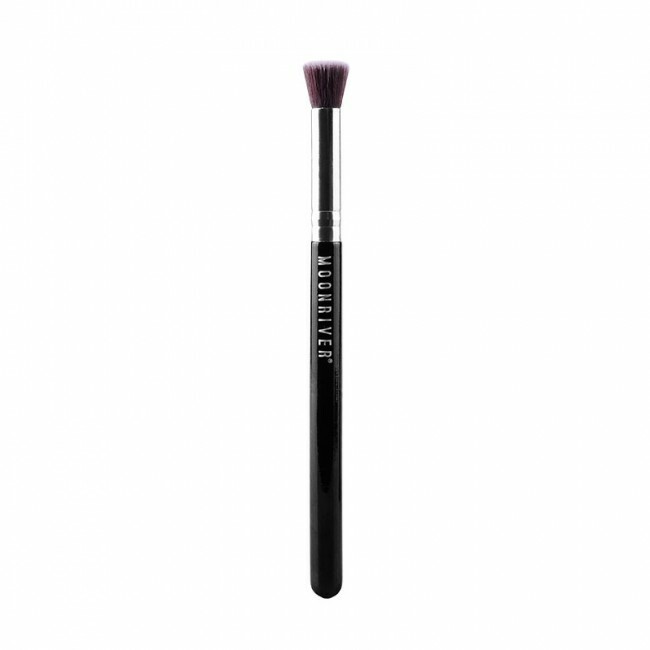 Small brush head with a flat top, designed to apply makeup quickly and evenly. 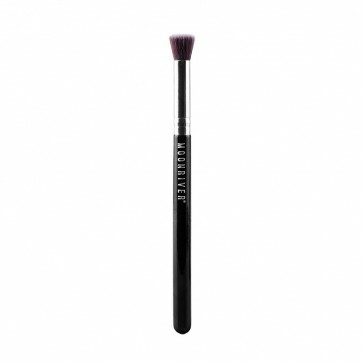 The Moonriver Beauty mini kabuki brush has a small brush head with a flat top, designed to apply makeup quickly and evenly. 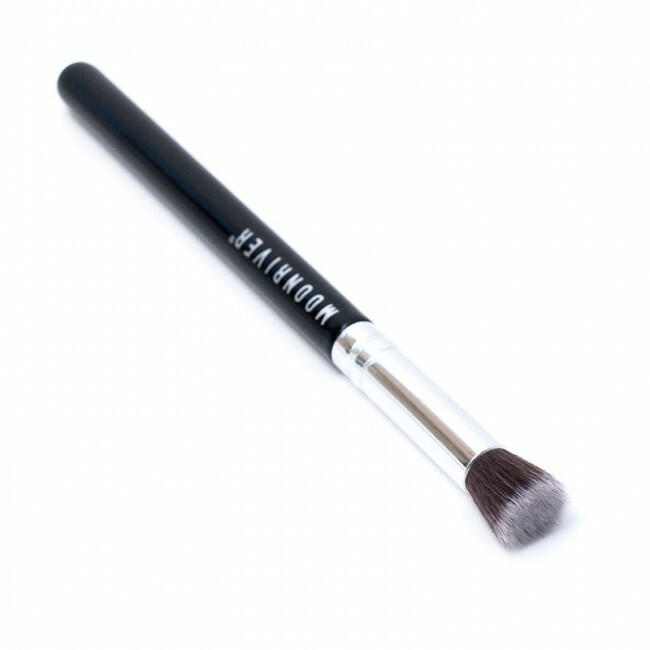 The soft and versatile synthetic Taklon bristles are dense and thick enough to work with powders, while remaining resilient enough to work with liquids and creams. The smaller size allows for more concentrated application of makeup, while the flat head is well suited for stippling. 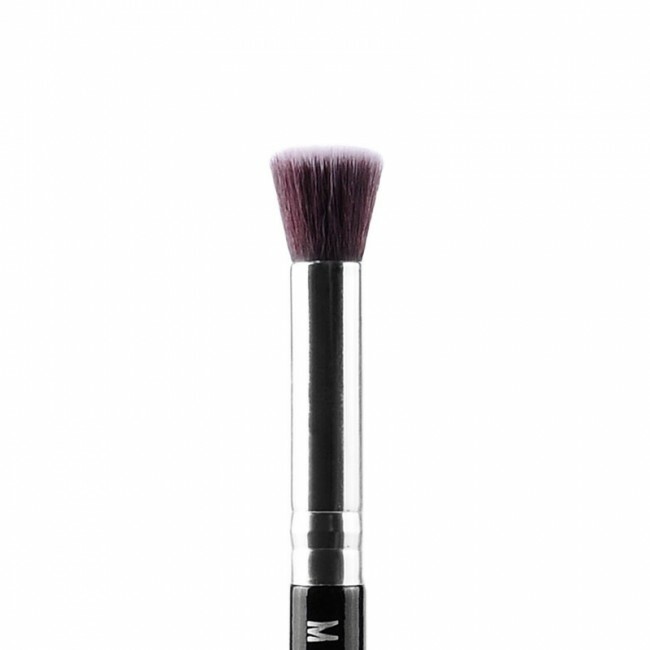 Small brush head with a flat top, for a fast and even application of makeup in targeted areas.